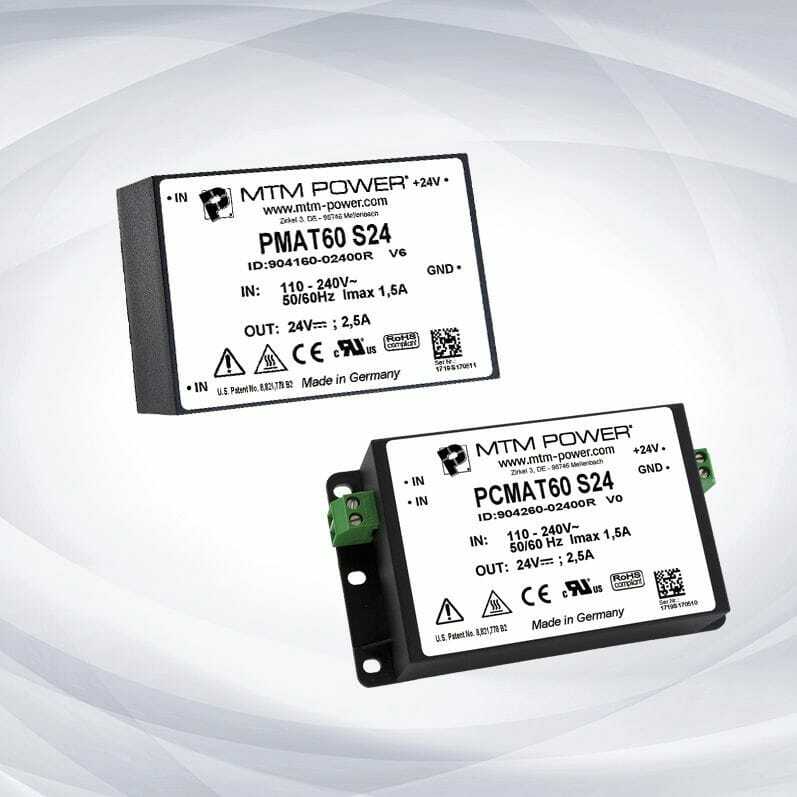 With the series PMAT/PCMAT60, MTM Power® expands its program with the third generation of AC/DC modules for reliable supply of electrical and electronic systems. The 60 W module is electrically and mechanically compatible to the PMAS/PCMAS48 series and thus offers 25 % more output power in the same case. The typical efficiency is up to 89 %. The components of the modules are completely covered in PU resin using the well-proved and patented thermoselective vacuum encapsulation technology. This encapsulation is a reliable protection against mechanical stresses and environmental conditions like humidity and conductive dust. 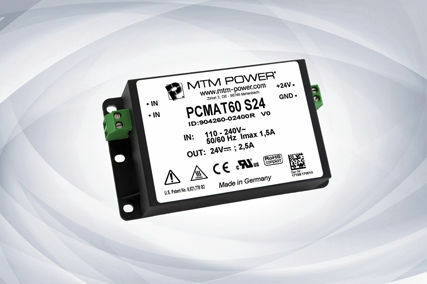 The modules are optionally available for PCB mounting (PMAT) or for chassis mounting (PCMAT) with screw connectors. The wide input voltage range of 90…264 VAC enables the worldwide use at AC voltage grids. 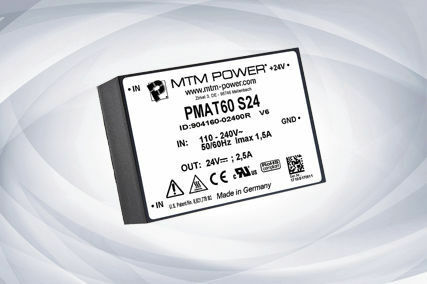 As an option, an active inrush current limiting is available which is particularly advantageous when operating several modules at only one control circuit. On the output side, a stabilised voltage of 24 VDC are provided; other output voltages are available on request. The modules are protected against overload by a deactivating foldback characteristic curve in the so-called hiccup mode and thus continuously overload and short circuit protected. The operating temperature range is acc. to the industrial requirements and lasts from -40…+70 °C.